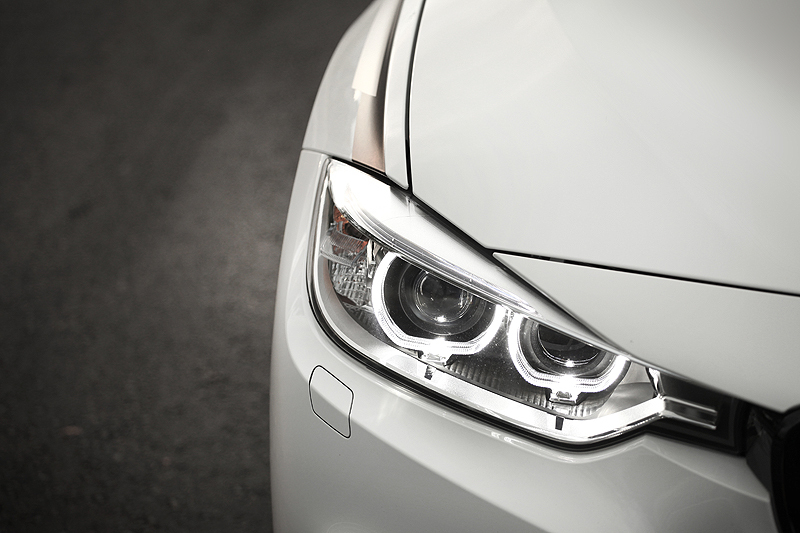 The honor of being our 1,000th article goes to this worthy BMW. No, it doesn't have 500 bhp, nor does it handle like a sharp trackday machine, but the 316i is a jolly fun car, and one that left us wanting more! 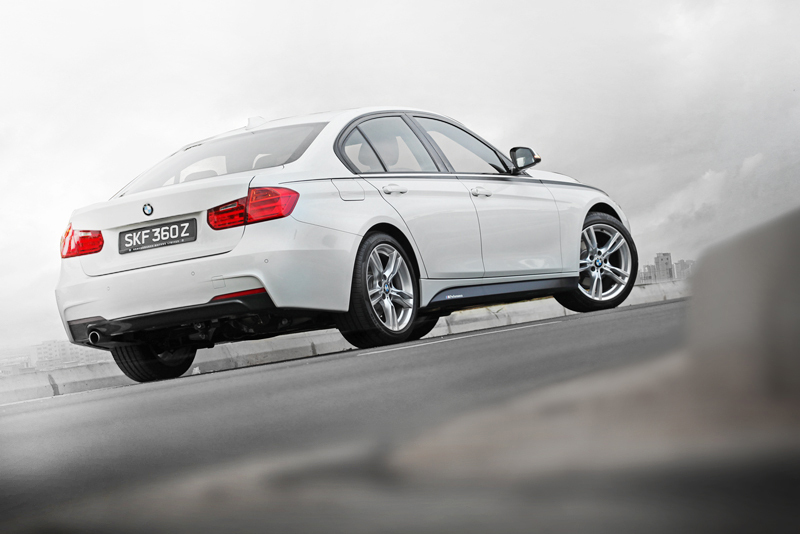 When it was launched about a year ago, the new 3 Series debuted with it's most powerful variant, the 335i. It was a hoot to drive and we were left grinning from ear to ear. We then wondered how we could ever enjoy its 'lesser' models after that. 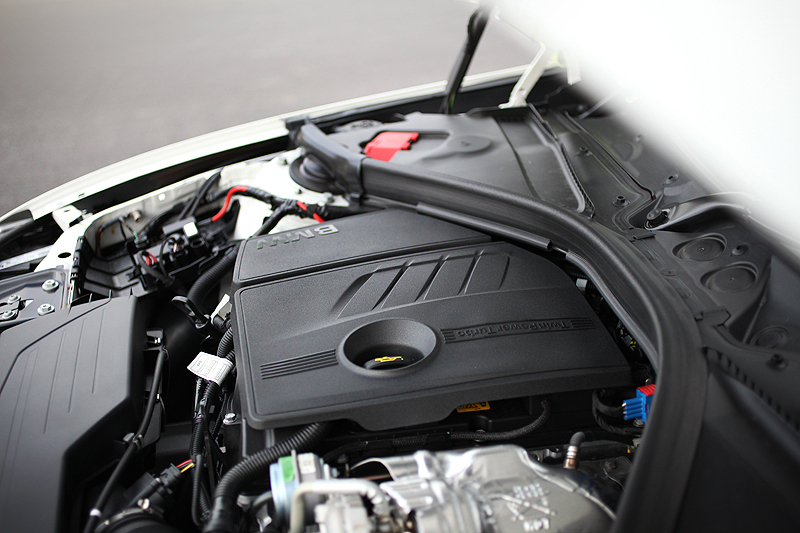 The 328i and 320i soon followed, and the 2-litre four-cylinder turbocharged units found in them were indeed less refined than the smooth-six powering the 335i. Admittedly, they left us rather cold. Enter the 316i. BMW's youngest baby 3 Series. Seen here with the M Sport package on our test-car. 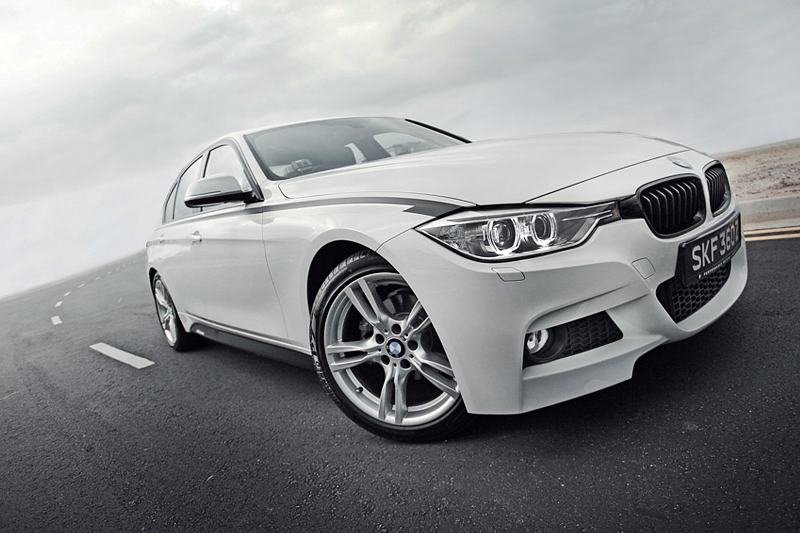 It comes with an M bodykit consisting of a front bumper, side skirts and a chunky rear bumper. Add to that, a sweet M steering wheel, sports seats, stiffer M Sport suspension that's lowered by 10 mm, and a set of 18" sports alloy wheels. Already distinctive and rather good to look at, the new 3 Series is made even more desirable with this aggressive bodykit. While the stock 3 has design cues that resemble the bigger 5 Series, the added M kit seems to lend well to help the 316i carve its own identity, which is definitely a good thing. More good news, the 3 Series now fits into the Cat A COE bracket (although that isn't really saying much, considering how COE prices have been volatile lately). That said, I do believe that BMW is a bit late in bringing in the 316i. Mercedes has already gotten a big fat piece of the pie with their 1.6-litre powered C Class range. But you know what they say - better late than never. With 136 bhp and 220 Nm, the BMW loses out to the Merc in terms of power output, but there is no disputing the fact that it is still a pretty punchy drive. My take is that BMW is marketing this as a more sporty option compared to the Merc, which has always been a more 'business' brand, while BMW's USP has often been driving dynamics. But before we talk about the drive, let's take a look inside. 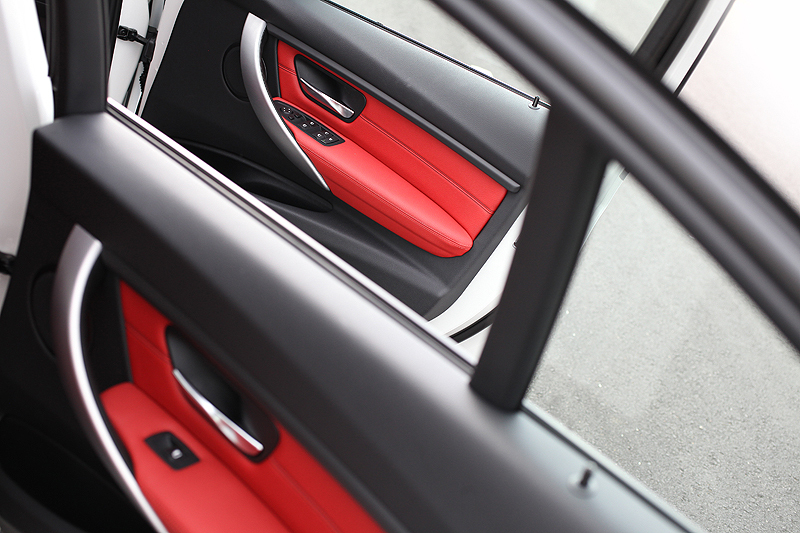 Specced with a bright red leather interior, our test-car really could liven up your mood on a bad day. 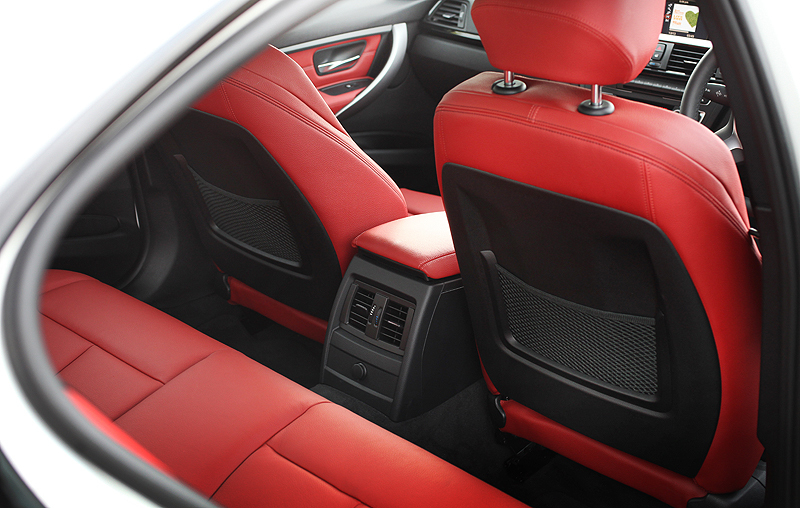 Though clearly not to everyone's taste, the red matches the white on the exterior and cohesively creates a very sporty image for the 316i. 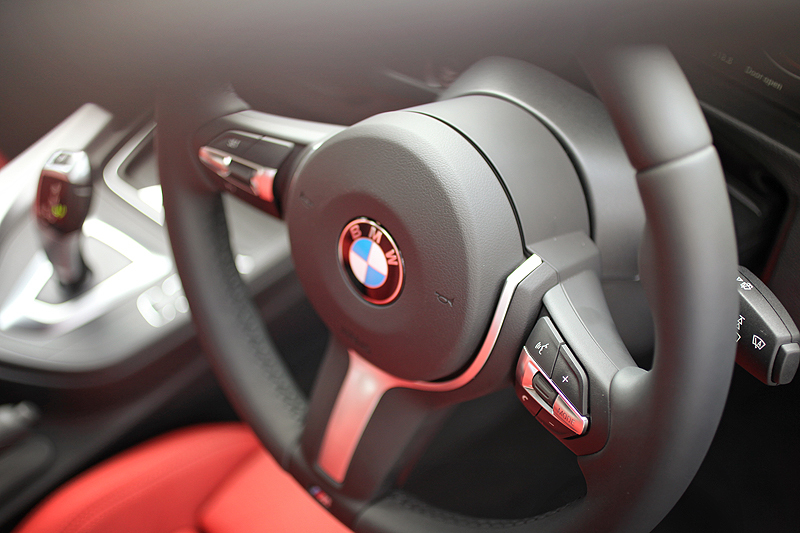 Grab hold of the new multi-function M steering wheel and you won't want to let go. Not only does it look the part, it feels perfectly sized, and with just the right amount of thickness and grip on the rim. 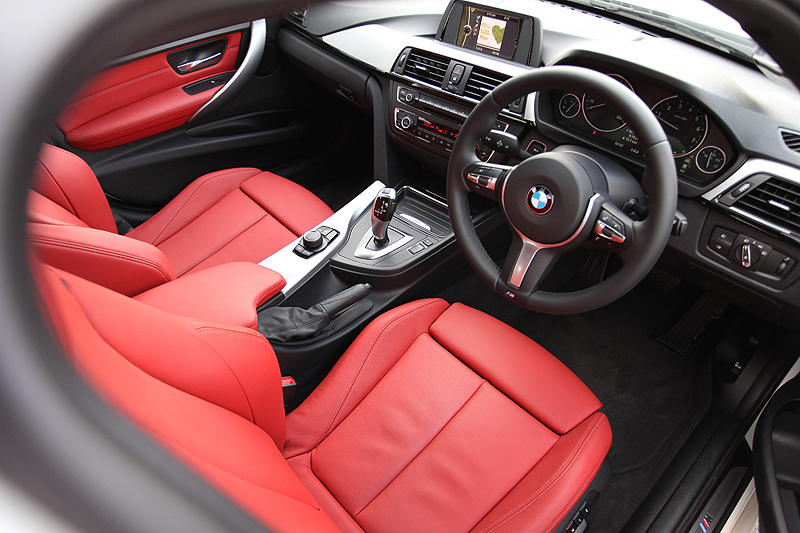 The 3 Series has always been a great car to drive, now with these sporty interior bits, they simply egg you on to get going. Put your foot down hard on the pedal and the initial torque is encouraging. The car pulls easily away from the lights, once you breach the 4500 rpm mark however, the engine note starts to get a bit rough. But the car still pulls convincingly as the needle finds its way further up the rpm band, albeit with a bit of strain. You immediately are reminded that this is no 335i. 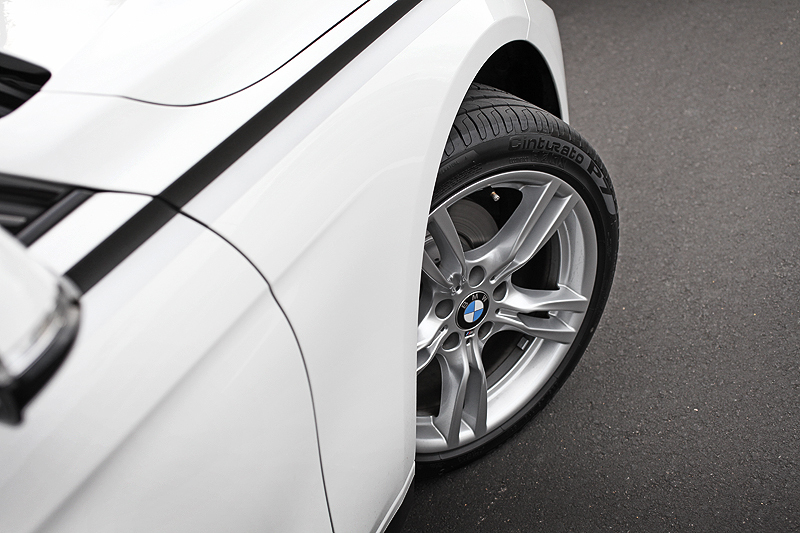 Despite the sporty exterior, this car is no dragster. But then again, it's not meant to be. 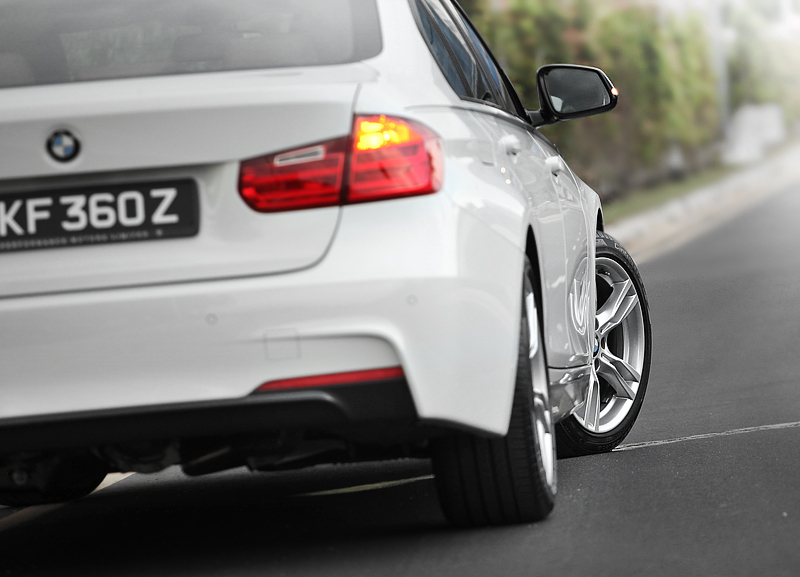 As a front-engined rear-wheel-driven car, the balance in the car's handling is sublime. The steering too, is direct and well-weighted. In fact, having less power (and a lighter front end) seems to be an advantage for the 316i, it takes on corners and sweeping bends almost like a hot hatch! 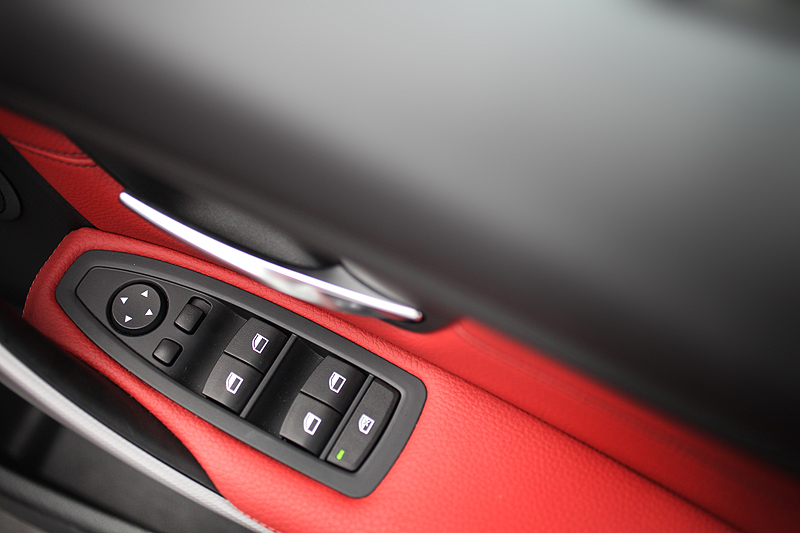 With the usual Eco, Comfort, Sport, and Sport + driving modes, drivers can select a range of drive settings to suit their mood. We left it in Sport most of the time, which kept the car on its toes. Over time, we got used to the modest power but really started to dig the divine balance the 316i offered. Make no mistake, it's no Lotus, and it won't out corner a Golf GTi, but the 316i is a car that offers a lot of fun for what it is supposed to be - an entry-level premium sedan. Add to that, a 'greener' engine that helps it benefit from a CEVS rebate of $10,000, and you've gotten yourself the best deal in this category. 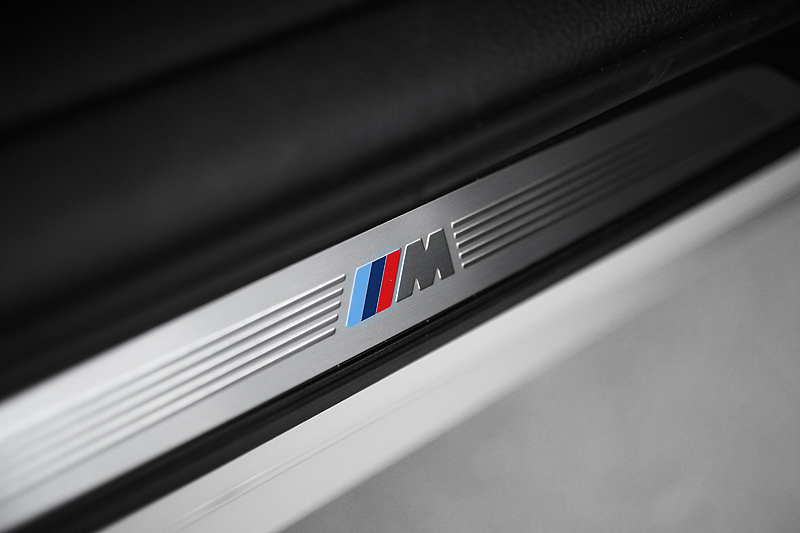 To us, the 316i is like the cutest, youngest addition to the family, whether it will cause the 328i or the 320i to suffer from a middle-child syndrome is yet to be seen.